Confession: I am obsessed with email. I’m obsessed with learning what gets people to OPEN emails, CLICK through and take ACTION. It’s part of my mission to reveal the secrets of capturing more leads and turning them into booked weddings with “wicked smart” follow up that works. Your email subject is the #1 factor determining whether your email gets opened or deleted. I keep a folder of “Killer Email Subjects” to feed my obsession. Here are a few of my favorite email subjects and what you can learn from them to get brides and grooms to open your emails. It grabs attention with a sensational word. They include emotional sensational words like, breakthrough, secret, scandal, killer, dangerous, new. It mentions “bad news.” Our brains are wired to be on the constant lookout for potential threats. That’s why we can’t look away from car accidents. Even though we know better, we’re compelled to open this email. It arouses curiosity and makes us want to know more. It gets us thinking, “What kind of attack is he talking about? What does this mean?” By nature, we’re a curious species and we’re going to open to uncover the mystery. Don’t fall for this wedding gown ripoff. My story of bad luck means good news for your wedding. How a dog ruined this bride’s wedding. This technique must be used sparingly. If every email you send has a sensational headline, it’s emotional overkill. You’ll get spam complaints, angry brides and it certainly won’t book you any weddings. Make sure your email content matches the subject. If you attach a sensational email subject to an email about folding your laundry, it creates distrust. Only use the Curiosity Killer if you’re prepared to follow through. Don’t go too negative. Getting attention and tweaking the underlying fear of the bride/groom is powerful marketing, but turn it into a positive so they don’t learn to associate that negativity with your business. Do I even need to explain why I was compelled to open this one? It’s important, for Jeeves’ sake! It’s about my favorite subject: ME. They say a person’s favorite word is her name, and it’s true. It literally jumps out of the inbox and opening is irresistible. It uses urgent language. Important, urgent, final notice: all of these words command attention immediately…even when we know it’s a marketing tactic, it’s tough to resist. It’s personal. It’s written as if the sender is writing something just for me. In the email world, that’s as rare as getting a handwritten note. Don’t overuse names. As effective as using a person’s name in the subject can be, it’s become so common as an email marketing strategy that it can work against you. Use sparingly and only when it makes sense. If your headline indicates urgency, follow through with an urgent offer. Your email has to live up to its expectation. A “final notice” should indeed be the last notice of a time sensitive offer or you risk looking like a hypocrite. Be careful to use the correct personal data. Misspell the bride’s name or use the wrong date, and she’ll be sure NOT to hire the wedding pro who couldn’t even keep her name straight. Woah! I want to know the topic of this email, don’t you? It made opening it a no brainer. It’s all about the benefit. 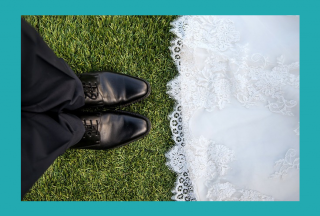 When your subject is about exactly what your brides and grooms want right now, they won’t be able to keep themselves from opening your email. It uses the phrase, “how to.” Headlines that include “How To” are immediately more valuable. It includes a number. Specific numbers and percentages increase the value of your email subject because they are more real and actionable than a vague offer. Focus on the benefit your couple wants, not the benefit for you. Your email subject won’t be nearly as effective if you don’t nail the benefit. For example, How to Hire a Wedding Photographer is an okay subject, but couples don’t really WANT to hire a wedding photographer; they HAVE to hire one to get what they really want…gorgeous photos. How to Get Gorgeous Wedding Photos Without Spending a Fortune is much more compelling. Deliver on the promise of your subject. If you promise an amazing benefit, you have to follow through or you’ll destroy your chances of booking the wedding. Don’t get lazy when it comes to your email subjects. 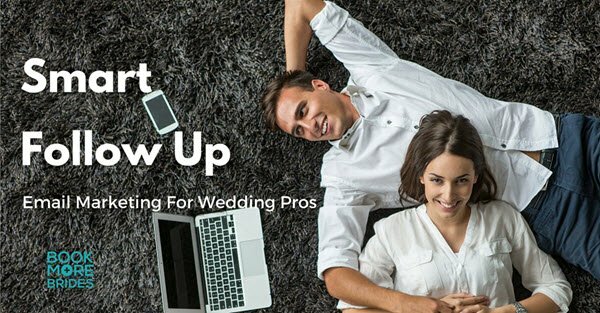 Be creative and adapt these killer email subject strategies to book more weddings. 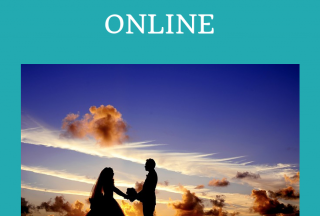 Want to Learn More About Turning Leads Into Booked Weddings? Save your spot for this workshop! I have registered my client (DJ KAT WMS) on several free advertising places (gigmasters, eventective, yellow pages, eventwire, wedalert.com, discjockeys.com, decidio, wedj.com, wedding.com, local.com, merchantcircle.com and even craiglist) but i am only getting leads from gigmasters (2) and eventective (12) over the past 4 months. Of the leads I receive only one from eventective has booked a gig. All the rest claim they have interest and I email and call frequently and there is no real follow through from the client. I might speak with them once then no additional conversations. Most seem surprised that I have responded. I am at a block here. Not sure what I am doing right or wrong. My client is new in the DJ business and I really need to get her some gigs. I follow up and respond quickly to each lead. I have even gone as far as sending a contract to one person and she changed her mind once she received the contract. Stated it was too strong??? I did book one gig from eventective ( a family reunion in Sept. 2014) but thats it. I seem to be doing a lot of work with no return on my efforts. What advise can you give me. I am running out of ideas. Wow! I really liked this article. I checked my email to see which ones chhad read and guess what? You were right! It’s amazing how this actually works . Thank you for this information. Would you like to speak at our 2014 CONA convention! Put your ideas to work with our Carriage Operators from all over the country. Give me a call at (405) 317-8722. We do not have a budget to pay you, but you have an opportunity to talk to a group of prospective clientele! How Do I Get Brides to Open My Email? How Do You Handle Brides Using FAKE Emails at Bridal Shows?